The life of Nicholas Copernicus furnishes a signal example of the accordance between profound religious sentiment and the utmost inquisitiveness respecting the secrets of nature and the laws of the universe. The birthplace of genius is sometimes found nestled amid the fairest scenes, and the opening years of life are favored with appeals to curiosity and imagination, such as stimulate the exercise of the intellect; but the lot of Copernicus, as a boy, was cast in one of the flattest, tamest, and most uninteresting parts of Germany. Not far from the banks of the Vistula, on the way to the free city of Dantzic, lies a fortified town named Thorn, where the river is crossed by a wooden bridge, and the place is adorned by a bronze statue of our philosopher--for there he was born. His father was a merchant, and in the municipal records his father's name appears as a freeman admitted to the franchise in 1462. In 1472 or 1473 a son was added to the family, and the parents had a horoscope taken of the child, who appeared at thirty-eight minutes past four on January 19, 1472, according to some; at forty-eight minutes past four in the afternoon of February 19, 1473, according to others; the exact instant of the nativity being an important point in astrological calculations, which, in those days, inspired in fathers and mothers the deepest concern. At all events, Copernicus was deemed to have entered the world under a lucky planet, and it was augured that he would turn out a man of distinguished talent. About ten years before Martin Luther studied at Mansfield, and then at Eisenach, and rambled about the quaint streets, singing Christmas carols in the town where he was born, Nicholas Copernicus passed through a similar course of education. He did so under some old-fashioned pedagogue, who no more dreamed of the scientific fame of his pupil than did Trebonius of the approaching celebrity of young Master Martin. Copernicus would there learn to read, to write, to construe Latin, and to commit to memory hymns, prayers, and catechisms. Whether as a lad he studied Greek is uncertain; but, as his parents seem to have been wealthy, he would enjoy greater advantages than his still more illustrious contemporary; hence at an early period he was sent to Cracow, where he studied philosophy, mathematics, and medicine. Mathematics formed his favorite pursuit, and by the thorough acquisition of its principles and modes of reasoning he laid the basis of his subsequent eminence. But he took a degree as doctor of medicine; and according to the comprehensive methods of culture which obtained in those days, he paid attention to painting, and made some proficiency as an artist. Scholars were at that period accustomed to travel, and Copernicus proceeded from Cracow to Bologna; and in that city of feudal palaces and towers he would find a school of painting to cultivate his artistic taste, as well as a university where he could study astronomy. There he entered upon divers calculations connected with the position of the earth and the plan of the heavenly bodies. Then proceeding to Rome, he became there a mathematical professor, and won vast renown. Soon after the commencement of the sixteenth century he returned to the banks of the Vistula, and having been ordained to the priesthood, had a canonry at Frauenburg, on the Frische-Haeff, bestowed upon him by his uncle. The cathedral is described as a handsome building of brick, erected in 1342, in an elevated part of the town, overlooking the flat sandbanks of the Elbing, as it flows on its way to the Baltic. In connection with his canonry, Copernicus had some contention about his official rights, the nature of which does not appear. All we know is that he settled down in that quiet, out-of-the-way corner of the world, heedless of worldly ambition and indifferent to ecclesiastical honors and emoluments. He was no sceptic, no free-thinker, nor do we find him taking a part in the theological controversies of his age. No mention is made of what he thought and did in relation to the grand quarrel between Luther and Leo, or the Diet of Worms, or the burning of the bull at the gates of Wittenberg, or the other stirring events of the Reformation; only we know he remained a Catholic, a quiet, self-contained, thoughtful, devout man, childlike in his religion, trustful in his piety, and exemplary in the discharge of clerical duties. We can picture him going through the usual routine of canonical services in Frauenburg Cathedral, full of faith and prayer. With this vocation he coupled medical practice. He turned to good charitable account that proficiency in the healing art which he had acquired at Cracow, and visited the sick and the poor, bringing upon himself the blessing of those who were ready to perish. 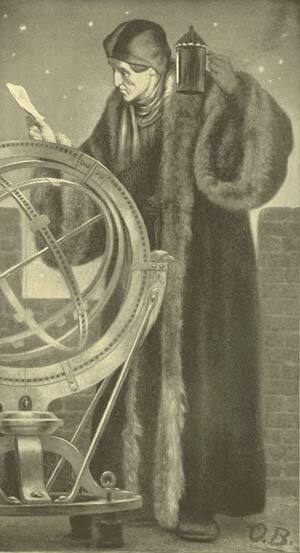 But the nature of his intellect, sharpened by studies at Bologna and Rome, gave him special advantages in the pursuit of astronomical knowledge; and as he had a decided taste in that direction, what time he could spare from the cathedral and the treatment of the sick he devoted to the study of the heavens. "He went very little into the world; he considered all conversation as fruitless except that of a serious and learned cast, so that he formed no intimacies except with grave and learned men." Alone at midnight he would watch the stars; in his study with his books he would inquire of the ancients; and then the profound thoughts passing through his mind he would exchange with the "grave and reverend seigniors" of his acquaintance. The Ptolemaic hypothesis of the universe was then in fashion. It was supposed that the earth was the centre of celestial motions, that the sun, the moon, and the stars revolved around the world which we inhabit. Not that the Pythagorean hypothesis was totally forgotten. There were those who believed that the sun, not the earth, is the centre of the great circle in which the heavenly bodies perform their evolutions; but the Ptolemaic hypothesis had the ascendency beyond all doubt; and with this hypothesis Copernicus could not rest satisfied. It appeared to him beset with insuperable difficulties. True enough, the rotation of the heavens around the earth seemed to be what the human eye beheld, as anyone watched sunrise and sunset. But what the senses thus presented, reason, in its ponderings, was led to contradict. For the notion of a huge mechanism like the celestial sphere, spinning round the terraqueous globe as its pivot looked unreasonable. To explain it in any way on mathematical principles needed a most complicated array of cycles and epicycles. Symmetry and simplicity were wanting in the theory. A priori objections started up against it. If the senses pointed to the earth as a centre, reason pointed to a centre elsewhere. Copernicus studied the works of ancient philosophers on the question. He examined mathematical traditions and criticised the opinions of learned professors. He found accounts of those who had asserted the motion of the earth. "Though," he says, "it appeared an absurd opinion, yet, since I knew that in former times liberty had been permitted to others to figure as they pleased certain circles for the purpose of demonstrating the phenomena of the stars, I considered that to me also it might be easily allowed to try whether, by a supposition of the earth's motion, a better explanation might be found of the revolution of the celestial orbs. Having assumed," he goes on to say, "the motions of the earth, by laborious and long observation I at length found that if the motions of the other planets be compared with the revolution of the earth, not only these phenomena follow from the suppositions, but also that the several orbs and the whole system are so connected in order and magnitude, that no one part can be transposed without disturbing the rest and introducing confusion into the whole universe." What Copernicus was in search of was some simple and symmetrical theory of the appearances of the heavens which would relieve him of the complexity and confusion attendant on the Ptolemaic system so popular in the schools. He started from an a priori point of reasoning--the only one thought of in his day--but he came to certain conclusions which a posteriori examination in after times abundantly confirmed. He believed that the earth is spherical; that the earth and the sea constitute a wonderful globe; that the motions of the heavenly bodies are circular and uniform, or compounded of circular and uniform motions; that the earth revolves on its own axis, and also performs a journey along its own orbit round the sun; that the sphere of the fixed stars is immensely distant, and that it is impossible to explain the motion of the planets upon the supposition of the earth being their centre. And he distinctly remarks: "It does not shame us to confess that the whole space in which the moon revolves, together with the earth, moves along a great orbit among the planets, round the sun every year; that the sun remains permanent and immovable, whatever may be its apparent motion." It must be kept in mind throughout any careful study of his theory, that it was an hypothesis framed to remove difficulties connected with older systems; that he sought to bring conceptions of the universe into harmony with reason, instead of giving way to impressions made by the senses, or to the authority of world-honored teachers, either in other days or in his own; nor can we omit adding that, while he found fault with the Ptolemaic cycles and epicycles, he constructed similar devices of his own. "As the real motions, both of the earth and the planets, are unequable, it was requisite to have some mode of representing their inequalities; and accordingly the ancient theory of excentrics and epicycles was retained so far as was requisite for this purpose." In the case of Mercury's orbit he makes suppositions which are extremely complex, although they manifest his apprehension of the difficulties attendant on the common theory of his own time; but he verified many of his views by astronomical observations; and his approximations to modern science, and the light he threw on preceding discoveries, establish the fame of Nicholas Copernicus. On a review of the life of Copernicus, and the conclusions he reached, the mental and moral qualities of the man come out with conspicuous and extraordinary lustre. 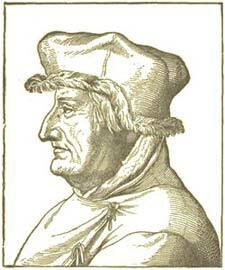 He was a mathematician, thus walking in the footsteps of Roger Bacon. This science, since the days of Euclid, had been pursued with untiring ardor, and many who neglected to study, or who, by their own imagination, distorted the actual phenomena of nature, addicted themselves to the investigation of the abstract properties of magnitude and number. Copernicus, in his knowledge of mathematical principles, and in his skilful application of them to astronomical inquiries, probably surpassed all his contemporaries. And, at the same time, he had that inventive genius which is fruitful in suggestions, such as become pioneers in the path of scientific demonstration. His independence of mind, his real originality, and his boldness in the pursuit of truth are quite as remarkable as the qualities just noticed; indeed, they are involved in or they led to the latter of these. "I beg you," says one of his admiring disciples, "to have this opinion concerning that learned man, my preceptor, that he was an ardent admirer and follower of Ptolemy; but when he was compelled by phenomena and demonstration, he thought he did well to aim at the same mark at which Ptolemy had aimed, though with a bow and shaft very different from his." We must recollect that Ptolemy says 'He who is to follow philosophy must be a freeman in mind.' Copernicus knew very well that there were many prepared to challenge his conclusions, and perhaps to bring theological objections to the principles of science which he had been constrained to adopt. "If, perchance," it is said in the preface to his book on astronomy, "there be vain babblers who, knowing nothing of mathematics, yet assume the right of judging, on account of some place of Scripture, perversely wrested to their purpose, and who blame and attack my undertaking, I heed them not, and look upon their judgments as rash and contemptible." Copernicus had a profound reverence for Scripture. He regarded it as the Word of God, able to make us wise unto salvation; and none of his discoveries pertaining to the laws of nature shook for one moment his confidence in the revelation of the gospel. Copernicus delayed for years the publication of his discoveries to the world. That delay had been thought to have proceeded from something like fear, or, at least, caution, lest views in some respects so novel should rouse ecclesiastical antagonism and expose him to serious persecution. But the words used in the dedication of his astronomical work seem to point in another direction. It is there said that he had kept it four times the nine years recommended by Horace, and published it at last in compliance with the entreaties of his friend, Cardinal Schomberg. "Though I know," it is added, "that the thoughts of a philosopher do not depend on the judgment of the many, his study being to seek out truth in all things as far as that is permitted by God to human reason, yet when I considered how absurd that doctrine would appear, I long hesitated whether I should publish my book, or whether it were not better to follow the example of the Pythagoreans and others, who delivered their doctrines only by tradition and to friends." From this passage we should infer that he apprehended controversy rather than persecution, that for the former he had no desire, that he was without ambition, and felt no wish to found a new school, but would rather leave truths he had learned quietly to make their way through the world. The fame of Copernicus is now wide as the world. He painted a portrait of himself which fell into the hands of Tycho Brahe; and he wrote an epigram upon the subject, to the effect that the whole earth could not contain the whole of the man who whirled it along the ocean of ether. Less extravagant was the grateful enthusiasm of Rhiticus, a disciple of Copernicus, when he wrote, "God has given to my excellent preceptor a reign without end, which may He vouchsafe to guide, govern, and increase, to the restoration of astronomical truth. Amen!" "The Copernican system" is the name now generally given to the almost universal scientific belief that the earth and the planets revolve around the sun, though the system carried out and perfected by Kepler, Newton, Halley, Laplace, and others is by no means perfectly identical with the theory of the German astronomer. But the inextricable interweaving of his name with opinions sanctioned by the entire scientific world, is one of the noblest conceivable tributes to the magnitude and lustre of his renown. He had lived a life of Christian virtue--imitating his master, who went about doing good, healing the sick and preaching the gospel to the poor--yet, so far from having anything whereof to boast before God, he said himself that he felt his need of infinite mercy, and in seeking the pardon of his sins he would not place himself on a level with Paul or Peter, but rather choose a point of self-humiliation by the side of the penitent thief. His work on the revolution of the celestial bodies was passing through the press at the time of his fatal illness in 1543, when he had completed his seventieth year and was brought to him just before he breathed his last; and thus, as has been beautifully expressed, he was "made to touch the first printed copy of his book when the sense of touch was gone, seeing it only as a dim object through the deepening dusk." He is buried under a flat stone in one of the side aisles of his own cathedral at Frauenburg. On his monument is painted a half-length portrait, pale, thin, aged, but with an expression of countenance intelligent and pleasant. His hair and eyes are black; he is habited as a priest; his hands are joined in prayer; before him is a crucifix, at his feet a skull, and behind him are a globe and a pair of compasses. His devotion, his deadness to the world, and his love of science are thus aptly symbolized.